Guacamole is the kind of dish you can’t really mess up. That’s because avocados alone are delicious, but also you don’t need to do that much work to give guacamole a ton of flavor. This creamy dip is mind-blowingly good, enhancing the flavor of whatever guacamole vehicle you choose (think carrots, bell peppers, jicama, or Baked Corn Tortilla Chips). Avocado is perhaps the world’s most amazing fruit. Yes, you heard that right. Avocado is a fruit, in fact, it’s a berry! 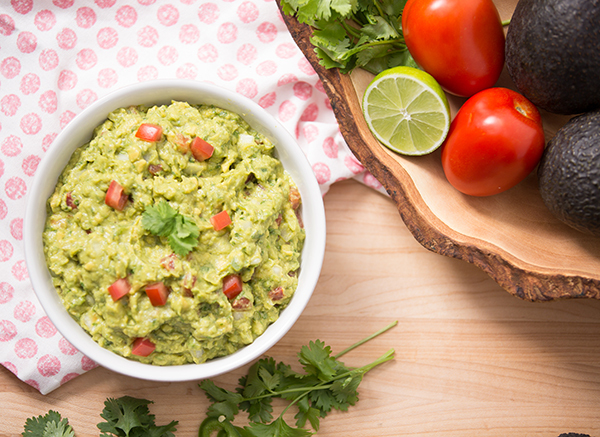 Now that we’ve broken down everything you thought you knew about avocados, we’ll build you back up with this delicious recipe for the ideal guacamole. 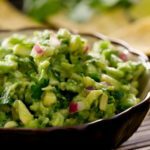 Refine your technique and learn a few new tricks with our recipe for the ideal guacamole featuring zesty lime, cilantro, and fresh tomatoes. Combine avocados, tomato, onion, chiles (if desired), cilantro, lime juice, and cumin in a large bowl; mix well. Mixture may be slightly chunky. Season with salt, pepper, and hot sauce if desired. Serve with fresh carrots sticks, jicama sticks, or baked tortilla chips. A great accessory to enjoy with any meal.